On Saturday afternoon, I spent a lovely afternoon with my friend Jamie at the Papered Parlour in SW London. This is my local crafting parlour. It was my first time trying it and I cannot fault it, it was absolutely lovely. So much so, that I got completely into the ‘crafting zone’ that I forgot to take pictures…. Sorry! But think; vintage music, quaint cups of tea, gorgeous homemade apple cake and about twelve other like minded people crafting away and you will hopefully get some idea of what it was like. 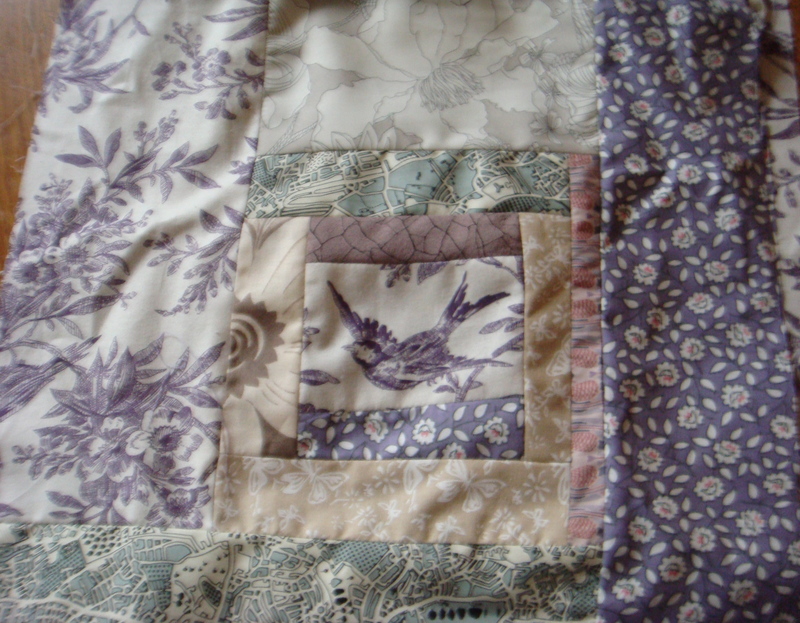 We signed up to do Cassandra Ellis’ Masterclass in Contemporary Quilting. Cassandra is so passionate about what she is doing that it is a real joy to learn from her and it’s hard not to catch some of her enthusiasm! 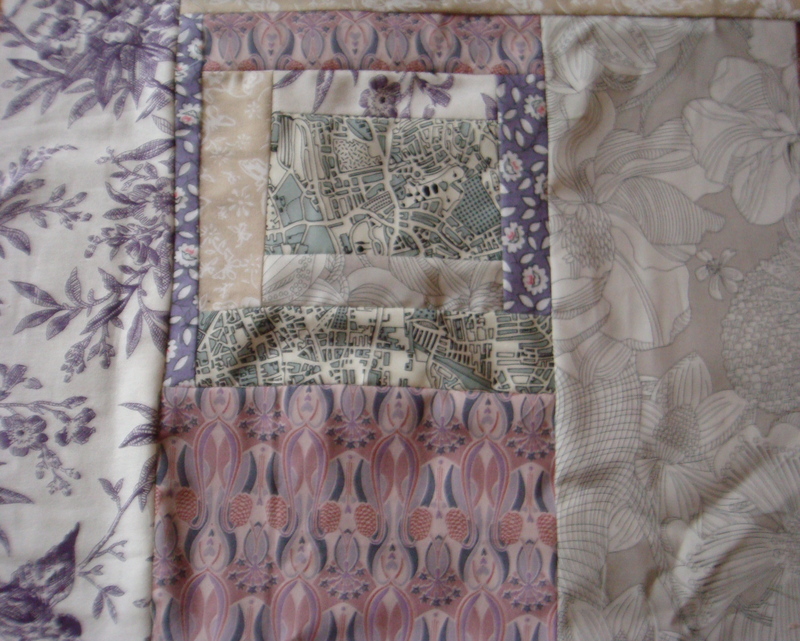 Also, the quilts that she had brought along to show us were fantastic, mixtures of Korean, Japanese and Indian fabrics. (I myself am a big fan of Japanese textiles). 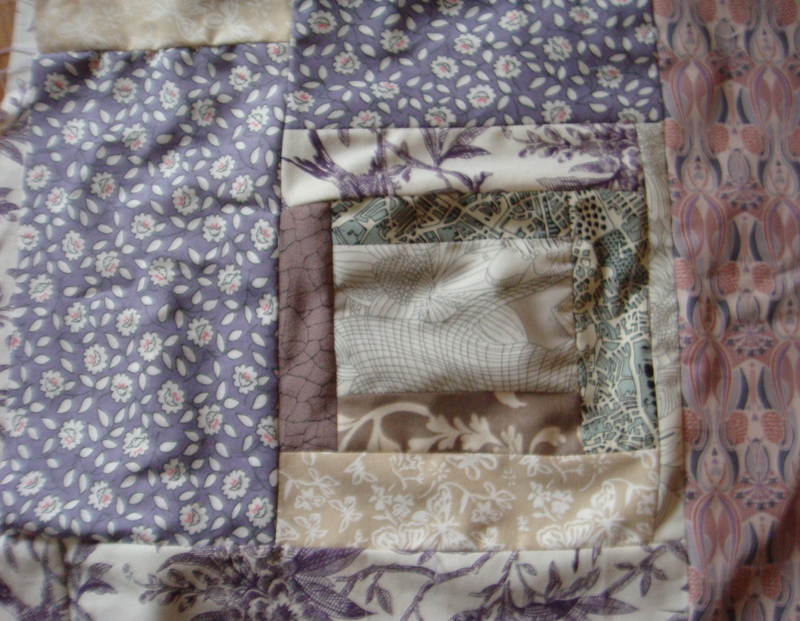 I’ve been wanting to learn how to put together a quilt for a while, as I have a loft bedroom, so in the winter, it gets really chilly. In the past, when I have browsed the shops for a throw or eiderdown, they have all seemed so generic, or ‘just not quite right’ considering that you would have to pay a lot of money for it. So for the past few years, I have stubbornly chosen to freeze myself over winter rather than spend a lot of money that I’m not 100% quite happy with. These blocks are so easy and quick to make up! I think the hardest part for me is choosing the colours (I have never been good when I am given too much choice!). Though this is the last time I take Jamie to a class with me, the only boy in a class of girls, he was the most productive out of all of us. He produced 5 quilt blocks in the time it took most of us to do 2 or 3! These blocks are so pretty! They have a soft, dreamy, old fashioned quality.